Do the Kurds have no friends? Likewise the silence that has embraced one of the few fragile tentative points of light in an almost suffocating darkness – that is: the experiment for radical democracy in Northern Syria, Western Kurdistan – in Rojava. It is as if we, in our search for the future, have no need for the example of a people surviving decades of oppression only to take one giant step on the path to liberation and to do it in a manner that gives hope to the rest of humankind that the democratic project has not been down a dead end but has the potential to be realised, revitalised and radicalised. “How can something like this happen and still be almost entirely ignored by the international community, even, largely, by the International left?” David Graeber (a member of the academic delegation that visited Rojava in December 2014) writes in The Guardian. “I have been wondering why so few people in the United States are talking about the Rojava cantons. You’d think it would be big news that there’s a liberated area in the Middle East led by kickass socialist-feminists, where people make decisions through local councils and women hold 40 percent of leadership positions at all levels. You’d think it would be even bigger news that their militias are tough enough to beat ISIS. You’d think analyses of what made this victory possible would be all over the left-wing press.” Meredith Tax writes in Dissent, in April 2015. And now, in 2016, as Autumn falls here and the Turkish tanks roll across the Syrian border to attack the Kurds…despite this murderous new effort to destroy the experiment in the womb. …despite all, Rojava has so far survived and continues to develop despite being offered little support from any quarter. Earlier still, in 1916, Britain and France had divided up the Middle East via the secret Sykes-Picot Agreement. “Within years, millions of Kurds, who previously occupied a wild terrain surrounding the Tigris and Euphrates Rivers known as Kurdistan, found themselves subjects of the new nations of Iraq, Syria and Turkey. In Turkey, where Kurds make up nearly a fifth of the population, the state sought to solve demands for recognition of Kurdish independence by denying the ethnic group’s existence. Laws have removed any trace of Kurdish identity from history books, banned speaking Kurdish in public and punished violators with long prison sentences…In Syria, where roughly 10 percent of the population is Kurdish, similar policies were enacted by a police chief named Mohammed Talib Hilal, who in 1963 likened his country’s ‘Kurdish question’ to a ‘malignant tumor. '” Wes Enzinna, (a visitor to the new Mesopotamian Social Sciences Academy, in “Rojava’s de facto capital, Qamishli”), writes in the New York Times, in November, 2015. 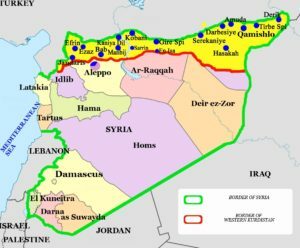 Yet now, 100 years later, at a March 2016 conference in Rmeilan, in the countryside of Hasakah province, the Syrian Kurds finally declared a federal system in the areas under their control. The Constituent Assembly of Rojava elected the 31-member regulatory committee tasked with the implementation of the Rojava-Northern Syria Democratic Federal System constitution. Drafted in 2014, the Constitution of Rojava or Constitution of the Rojava Cantons, officially titled Charter of the Social Contract, was the provisional constitution of the self-proclaimed autonomous region. 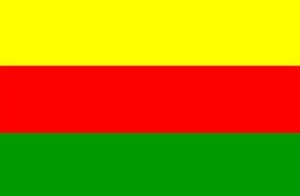 It was adopted on 29 January 2014, when the Democratic Union Party (PYD), declared the three Rojavan cantons it controls autonomous from the Syrian government. Article 12 states Rojava remains an “integral part of Syria”, tentatively implementing an expected future federal Syrian governance in its Rojavan part. The PYD, Partiya Yekita Demokrat, is supported/ defended by the military force called the Y.P.G., or People’s Protection Units, and an all-female force called the Y.P.J., or Female Protection Units. In June 2016, the Constituent Assembly met on the 27-28 in al-Malikiyah (“Derik” in Kurdish) in the countryside of Hasakah province, northeast Syria, to examine the draft document. 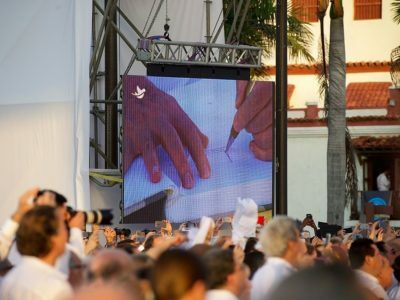 During the meeting, final amendments were introduced and the constitution was approved. “The regulatory committee of the Rojava-Northern Syria Democratic Federal System Constituent Assembly has approved the final draft of an 85-article “social contract” that would serve as a constitution for Syria’s Kurdish regions, Wikipedia tells us. 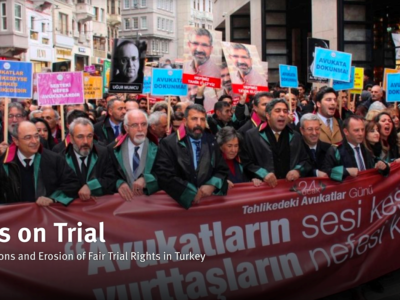 The constitution has gained much international attention and is most noted for its explicit affirmation of minority rights and gender equality and a form of direct democracy known as Democratic Confederalism. Holding political power in all three cantons of Rojava is the Democratic Union Party (PYD), “a leftist political entity with very close ideological and political links to the outlawed Kurdistan Worker’s Party (PKK), the party that has been fighting against Ankara since the 80s and that has become the main hub of the Kurdish political movement in Turkey.” Evangelos Aretaios writes. Militarily the Kurds are fighting under the banner of the Syrian Democratic Forces (SDF), where the YPG and the YPJ have emerged as a key ally of the US-led coalition, which considers it one of the few effective partners on the ground in Syria. “Since then, the Kurds have inflicted a series of defeats on IS in northern Syria with the help of US-led coalition airpower. They have established control over a 400km (250-mile) stretch of contiguous territory along the Turkish border and advanced to within 50km (30 miles) of the IS stronghold of Raqqa.” The BBC reports. Despite their difficulty in securing modern technology and arms, a number of significant military engagements have taken place, not least the Kurdish capture of Kobane in January 2015 (leaving at least 1,600 people dead), the operation in November 2015 to free the Yezidis from ISIS in the area around the city of Sinjar in northwestern Iraq and the recent conquest of Manbij city on 12 August. For all of these victories the Kurds have paid a high price as the many YPG-YPJ funerals you can watch online show. Religious freedom: religious expression is safeguarded as a right in the constitution. “The Kurdish freedom movement had its ideological sources in the 1968 student movement and the Turkish left’s Marxist-Leninist, Stalinist, Maoist, Trotskyist, and other communist theories. At the end of the 1980s, the Kurdish freedom movement embarked on a critique of the actually existing (state) socialist model, and in later years it would be deepened. The critique of the 1990s said, among other points, that it’s important to change individuals and society before taking the power of any state, that the relationship between individuals and state must be organized anew and that instead of big bureaucratic-technocratic structures, a full democracy should be developed. In 1999, when the PKK leader Abdullah Öcalan was captured and the guerrilla forces were withdrawn to Iraqi Kurdistan, the freedom movement underwent a process of comprehensive strategic change. It did not give up the idea of socialism, but it rejected the existing Marxist-Leninist structure as too hierarchical and not democratic enough. Political and civil struggle replaced armed struggle as the movement’s center. 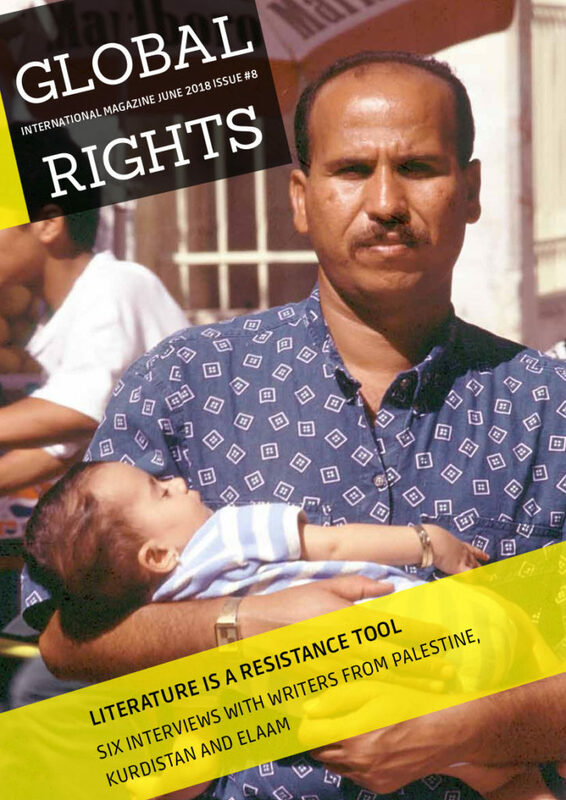 Starting in 2000, it promoted civil disobedience and resistance (the Intifada in Palestine was also an inspiration). Further, the movement gave up the aim of establishing a Kurdish-dominant state, because of the existing difficult political conditions in the Middle East and the world; instead, it advanced a long-term solution for the Kurdish question within the four states Turkey, Iran, Iraq and Syria: democratic confederalism. It now considers it more important to have a democratic, social and tolerant society than to have one’s own state. For Turkey, it has proposed the foundation of a second or democratic republic. 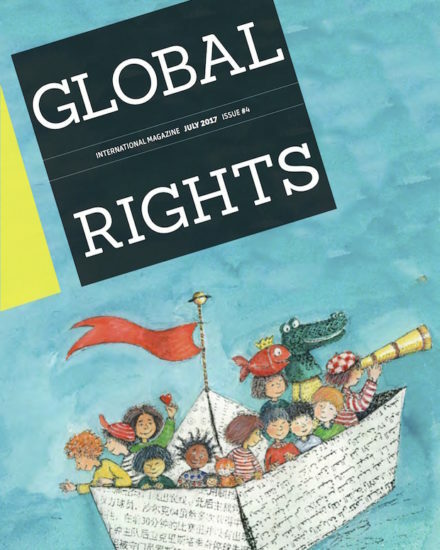 During this process of strategic change, the freedom movement activists read and discussed a new literature that supported and could make contributions to it. It analyzed books and articles by philosophers, feminists, (neo-)anarchists, libertarian communists, communalists, and social ecologists. That is how writers like Murray Bookchin, Michel Foucault, and Immanuel Wallerstein came into their focus. Murray Bookchin’s influence, apparently, has been central. Wikipedia adds: “Öcalan attempted in early 2004 to arrange a meeting with Bookchin through his lawyers, describing himself as Bookchin’s “student” eager to adapt his thought to Middle Eastern society. Bookchin was too ill to accept the request. In May 2004 Bookchin conveyed this message “My hope is that the Kurdish people will one day be able to establish a free, rational society that will allow their brilliance once again to flourish. They are fortunate indeed to have a leader of Mr. Öcalan’s talents to guide them”. When Bookchin died in 2006, the PKK hailed the American thinker as “one of the greatest social scientists of the 20th century”, and vowed to put his theory into practice. “How can something like this happen and still be almost entirely ignored by the international community, even, largely, by the International left? Mainly, it seems, because the Rojavan revolutionary party, the PYD, works in alliance with Turkey’s Kurdish Worker’s Party (PKK), a Marxist guerilla movement that has since the 1970s been engaged in a long war against the Turkish state. Nato, the US and EU officially classify them as a “terrorist” organisation. Meanwhile, leftists largely write them off as Stalinists. 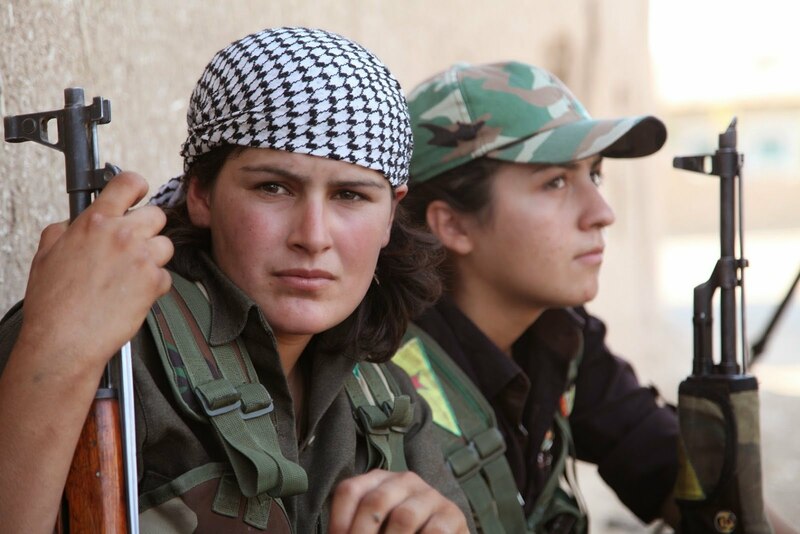 Rahila Gupta, who visited Rojava in 2016, also wrote a series of articles, ‘A revolution for our times: Rojava, Northern Syria’, posted in Opendemocracy starting on 4 April 2016 – where she explore both the complexity as well as the centrality of women’s liberation to the revolution that is Rojava. “The booklet lists the Administration’s extensive legislative assault on patriarchal practices: Child marriage, forced marriage, dowry and polygamy have been banned; any attempt to stop a woman marrying of her own free will, will be prevented; honour killings, violence and discrimination against women have been criminalised; women, regardless of their marital status, have been given the right to custody of their children until the age of 15; a woman’s testimony is equal to a man’s; a woman has a right to equal inheritance; marriage contracts will be issued in civil courts. Impressive work when you consider that the women’s ministry was set up only in January 2014…. ” Only by creating a political culture that is not split down the middle by gender can any of us find the answers we need to change the world. that of your temples, which walk with two stones! go out, children of the world, go and look for her! go out, children of the world, go and look for her! . . .
España, aparta de mí este cáliz (Spain, Take This Cup from Me,), from, César Vallejo – Complete Posthumous Poetry, translated by Clayton Eshleman & José Rubia Barcia, University of California Press, 1980. Merdeith Tax, ‘The Revolution in Rojava’ (Dissent, in April 2015. Charter of the Social Contract, 29 January 2014, PDF.